California's Immigrant Worker Protection Act took effect on January 1, 2018. The new law: •	Prohibits employers from allowing immigration enforcement agents to enter nonpublic areas without a judicial warrant, or to access, obtain or review employee records without a subpoena or judicial warrant; •	Requires employers to notify employees before and after certain immigration inspections take place; •	Prohibits employers from improperly reverifying employees' employment verification. Worksite access: Requires a judicial warrant before providing an “immigration enforcement agent” with access to nonpublic areas of their worksite. Records access: Requires a subpoena or a judicial warrant before providing an “immigration enforcement agent” with access to employee records. Notice: Requires notification to employees and labor union representatives before and after I-9 inspections. Reverification: Prohibits reverifying the employment eligibility of employees at a time or manner not required by federal law. Though the IWPA is intended to protect unauthorized workers who may be targeted by employment-related raids and enforcement efforts, it presents challenges to employers attempting to comply with their immigration obligations under federal and state law. The following is Fragomen’s updated analysis of the Act, based on new information obtained by the firm and its advocacy partners. The new law limits worksite and records access by “immigration enforcement agents,” but does not define that term. Though a broad interpretation of “immigration enforcement agent” could potentially include a wide range of officers from different agencies, in light of the rules covering immigration officers and authorities of the various immigration agencies, there are strong arguments to suggest that the term “immigration enforcement agent” refers to Immigration and Customs Enforcement (ICE) agents, and not to USCIS Fraud Detection and National Security (FDNS) inspectors and officers or agents from other agencies. In any event, employers always have the right to, and we recommend they do, request a subpoena or judicial warrant when an agent requests access to nonpublic areas of the worksite or seeks access to employee records. If an immigration enforcement agent seeks access to nonpublic areas of a worksite, the IWPA prohibits the employer, or a person acting on behalf of the employer, from providing access unless the agent first presents a warrant that is signed by a judge. Immigration enforcement agents may often have an administrative warrant for the arrest of a particular individual for immigration violations. An administrative warrant that has been signed only by a DHS immigration officer does not satisfy the law’s requirement for a judicial warrant. The employer may admit the agent to a nonpublic area to verify the judicial warrant and the agent’s identity, but only if no employees are present in that area. Federal law does not require employers to immediately grant federal agents access to a worksite, and therefore, employers should take all necessary steps to evaluate who is making the request and review the documentation presented before allowing access to nonpublic premises. If an immigration enforcement agent makes a request to access, review or obtain employee records or information contained within those records, the IWPA also prohibits the employer, or a person acting on behalf of the employer, from providing those records unless the agent first presents a subpoena or judicial warrant. A subpoena need not be signed by a judge, and may be signed by an authorized immigration officer. The requirement for a subpoena or judicial warrant does not apply where the federal agent seeks to obtain I-9 eligibility verification forms through the service of a Notice of Inspection (NOI). In these instances, certain notice obligations are triggered, as outlined below. If the employer receives a Notice of Inspection of Form I-9 or other employment records, the employer must notify its employees and their labor union representative(s) of the upcoming inspection within 72 hours of receiving the notice, in the language or languages normally used to communicate employment-related matters. The employer must also provide potentially affected employees with a copy of the notice upon reasonable request. California’s Labor Commission has been charged with developing a posting notice form by July 1, 2018. Until the form is issued, please contact your immigration counsel for assistance in drafting an IWPA-compliant notice. Following an immigration inspection, employers must provide a copy of the government’s inspection results to “affected employees” and their union representatives within 72 hours of receipt. An “affected employee” is an employee identified by the inspection results as an employee who may lack work authorization or whose employment eligibility documentation may have deficiencies. The employee’s right to representation during the meeting. The IWPA also prohibits employers from reverifying the employment eligibility of current employees at a time or manner not required by federal law. Employers are required to conduct reverification before an employee’s existing work authorization expires. 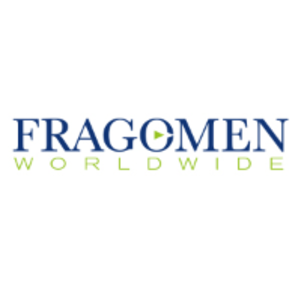 If your organization has specific questions about whether it is appropriate to reverify work authorization in other instances, please contact your Fragomen immigration contact for advice in this regard. $2,000 to $5,000 for a first violation of the worksite access, records access or notice requirements, and from $5,000 to $10,000 for each subsequent violation. Up to $10,000 for a violation of the reverification prohibition. Working with Fragomen to create a plan of action to use when federal immigration agents show up at the worksite and request access to nonpublic areas or employee records. Training frontline employees not to act on their own to grant access to federal immigration agents, but rather to escalate the matter internally and/or with counsel. Training employees who handle immigration-related matters to comply with the new posting and notice requirements triggered when a Notice of Inspection is received, as well as the post-inspection notice requirements triggered once the employer receives a notification from the government with any results of the inspection (whether or not the inspection is still ongoing). Training human resources staff on when it is appropriate to reverify employees’ work authorizations. This alert is for informational purposes only. If your organization is affected by the new California law, please contact your designated Fragomen professional or the firm’s Government Strategies and Compliance Group.